The original. Photo (CC-BY-SA) Mickey Destro. If you’ve seen a review of Roland’s AIRA SYSTEM-1 synth – the keyboard and final member of the original AIRA quartet introduced earlier this year – it’s probably premature. Word from Roland is that the SYSTEM-1 is still not quite finished. We’ve played it in an earlier form at Musikmesse. But at that point, firmware was still not done, and the synth model was the onboard default for the SYSTEM-1. You can hear Roland’s AIRA component modeling applied to a synth, and indeed, the SYSTEM-1 itself is straight out of the box a new, if fairly conventional, synthesizer. Part of what Roland is pitching on the SYSTEM-1, though, is the ability to switch synth models. Connect to a computer, change what synth you want, unplug, and you can “plug-out” a new instrument. 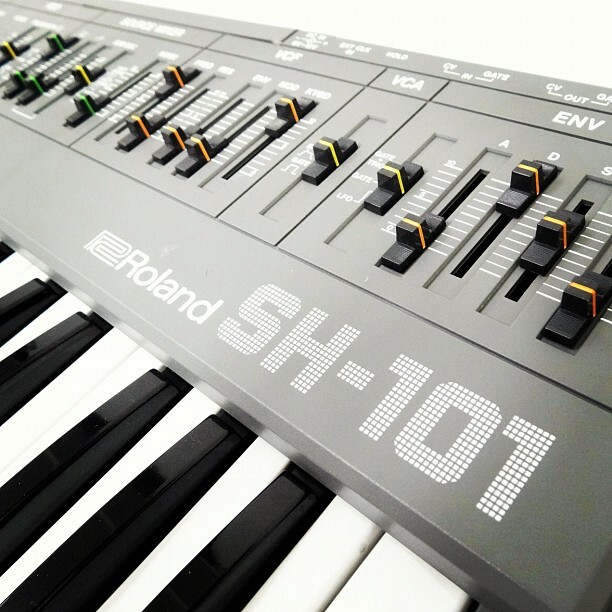 To me, the big test of the SYSTEM-1 will be whether Roland has built a compelling model of its classic SH-101 synth. That seems to fit the form factor of the keyboard (and, perhaps, excuse its lack of velocity sensitivity). The question was when that would be done – and when AIRA was announced earlier this year, even Roland didn’t have a solid answer. We might have an answer now. Apparently at Sweetwater’s Gear Fest this month, Roland first showed that SH-101 model – and another event is planned this week in London. A quiet event announcement lists a premiere of the SH-101 model for the SYSTEM-1 on Thursday in London. In-person events were limited to a scant 20 people (I didn’t get in), but there appear to be sign-ups for a live webinar. So, yes, right after the USA squares off against Germany in the World Cup, you can see what the SH-101 will bring to the AIRA table. Artist David Ålhund will be on-hand to show the new instrument, as well as play on the other AIRAs, followed by a discussion with Bullet Dodge’s Gareth Whitehead and Mike Greig from SSR London along with Marshall Jefferson, Adamski, Luke Solomon and guests. I’ve contacted Roland in Germany and the USA for more comment. And I hope CDM finally gets an AIRA for review. Thanks to Nicolas Bougaïeff for the tip.